Samsung’s smartwatch release and branding strategy are not exactly the most coherent and predictable on the market, as 2017’s Gear Sport was oriented towards a different target audience than 2016’s Gear S3, which was actually followed by 2018’s Galaxy Watch. An all-new fitness-centric wearable device is already in the works, according to a report from a couple of weeks ago, but although this is rumored to adopt a Galaxy name rather than sticking with the Gear brand, it probably won’t upgrade any of the Galaxy Watch’s specifications. Instead, the Samsung Galaxy Sport is expected to come to light as a direct sequel to the Gear Sport. 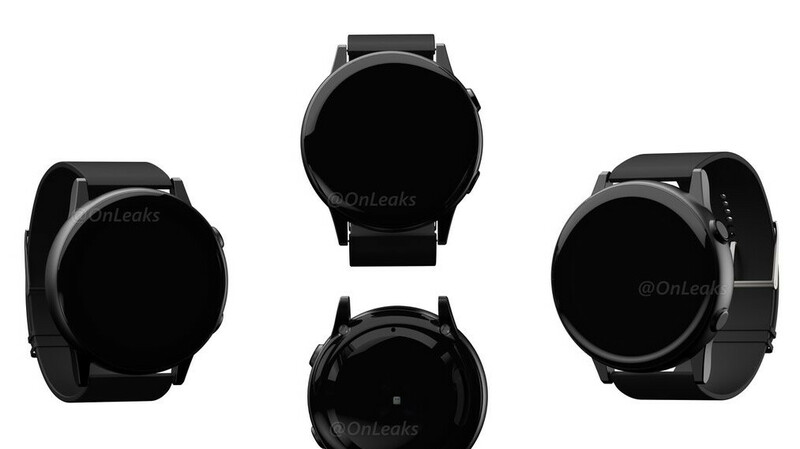 Codenamed “Pulse”, this certainly looks intriguing in a fresh batch of factory CAD-based renders revealed by prolific leaker Steve H., aka @OnLeaks, seemingly ditching the signature rotating bezel of its forerunners. This is far from etched in stone, mind you, but with a smooth, non-toothed bezel in tow, it’s unclear how the Galaxy Sport could implement the popular rotating navigation feature. The two side-mounted buttons also look different from those of the Gear Sport and Galaxy Watch, with a classic circular design replacing the love-or-hate capsule shape of years past. Unfortunately, there’s not much else we can glean from these early device illustrations, and no one knows when the Galaxy Sport is supposed to be released either. In fact, not even that name is a done deal just yet. But although the target audiences would be technically different, it’s probably wise not to expect an official announcement alongside the Galaxy S10 smartphone lineup this spring, as the Galaxy Watch is still a relatively new product. About the absence of rotary bezel, maybe Samsung is switching to touch-sensitive approach this time. What does that mean? They all have touch interfaces?